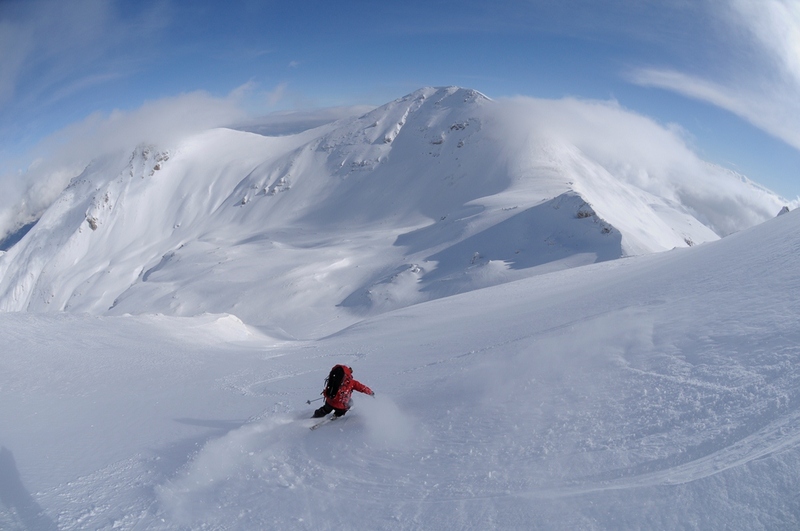 Macedonia's ski and snowboard resorts can offer fine snow and mountain challenges for every taste, from beginners to proffesionals. 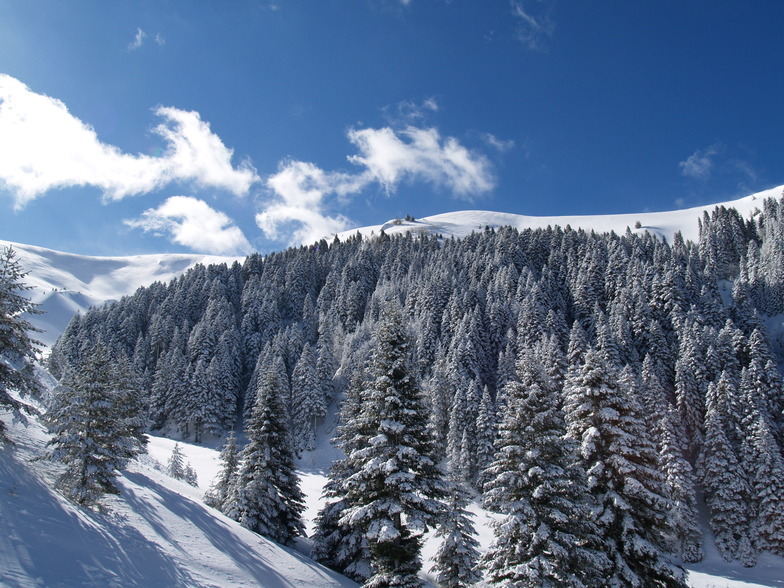 The ski resorts in Macedonia are hosts of several ski and snowboards cups that atrract visitors from all the world to enjoy the magnificient mountains of snow in Macedonia. 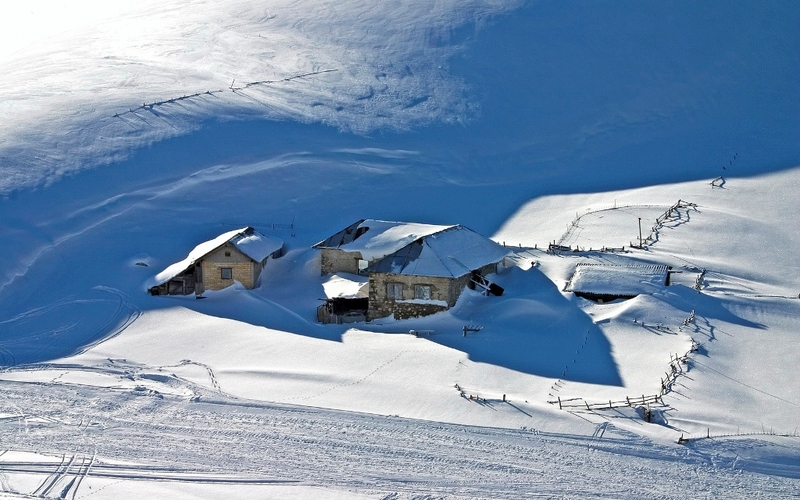 The Ski center Mavrovo has three chair lifts and eleven ski lifts. The length of chair lifts is 4.800 m. with a capacity of 1.900 persons per hour. With these lifts, skiing is possible from 1.255 m. to 1.860 m. above sea level. The length of the ski lifts is 5.700 m. with a capacity of 10.100 skiers per hour. There are tracks for beginners, advanced and top competitors in the alpine and Nordic categories. 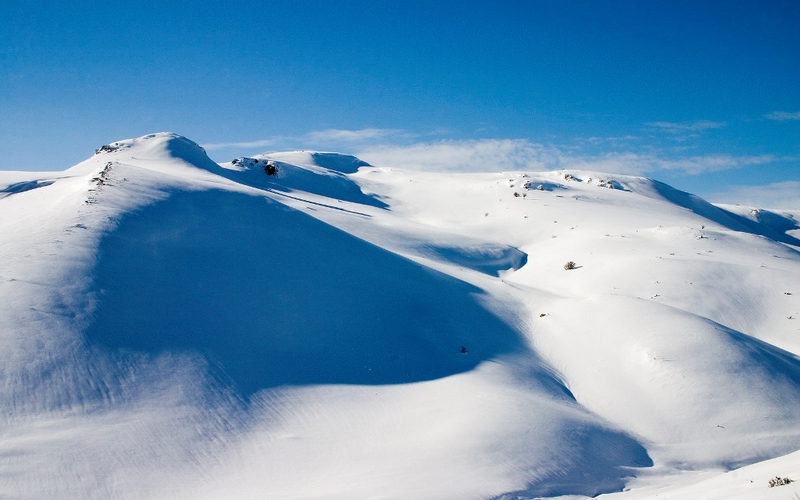 The average snow cover is 70 cm. which makes skiing possible, as well as other snow games from November to April. 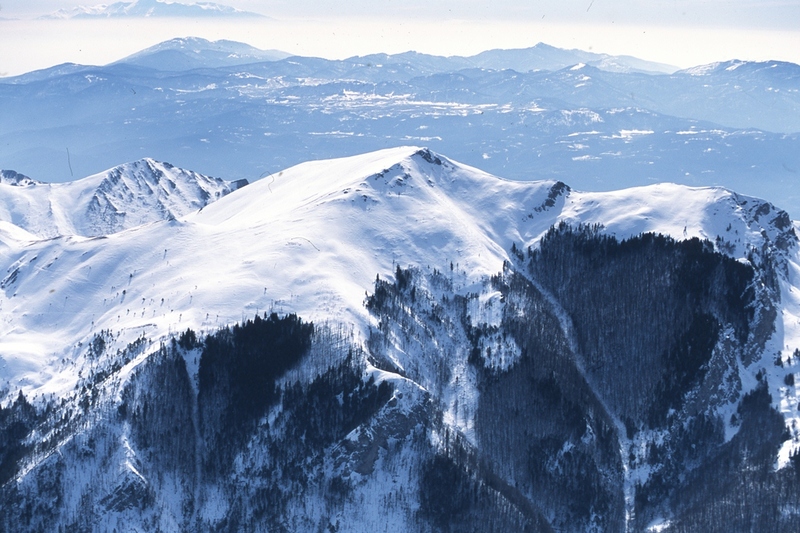 The well-known ski resort Popova Sapka lies above Tetovo in the Shar Mountain. It is well linked to the town by road and a cable railway. Some of the mosques in the town are old and date back to the l7th century. The best known among them is the Painted Momplex. The Monastery of Leshok with the churches of St. Athanasius and of the St. Holy Virgin, from the l4th century, is situated 8 km near Tetovo. In the yard of the Monastery of Leshok is the tomb of the Macedonian educator, Kiril Pejchinovik who was born in 1770. In his honor, this monastery hosts an International Meeting of Literary Translators. Tetovo is also a host to the Festival of Macedonian Choirs. The town has a population of 180,654 (1991) and it covers 1.080 sq. km. 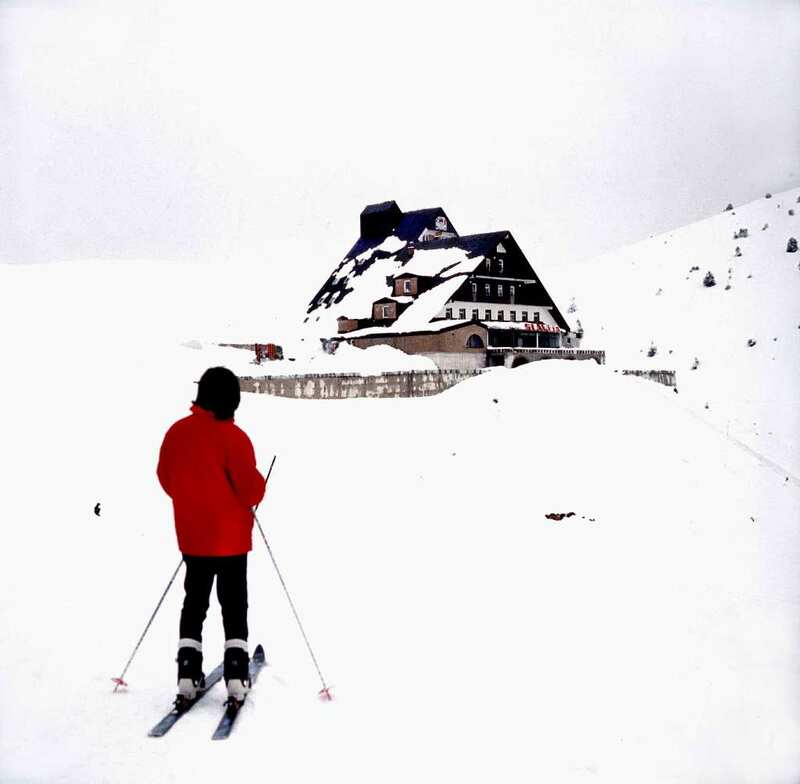 The ski track on the south side of the Shar Mountain is located at 1875 m altitude, 18km from Tetovo and 48 km from Skopje. 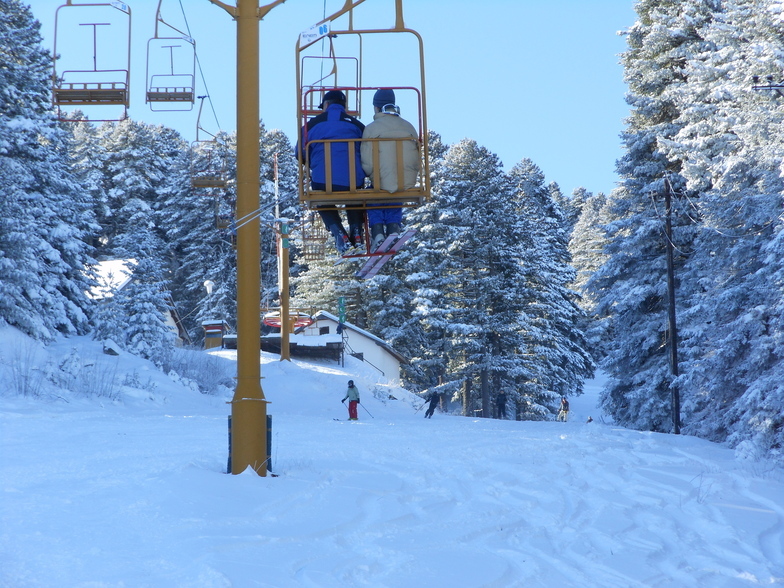 The gondola chairlift Tetovo- Popova sapka is 7 km long (the ride takes about 40 min). 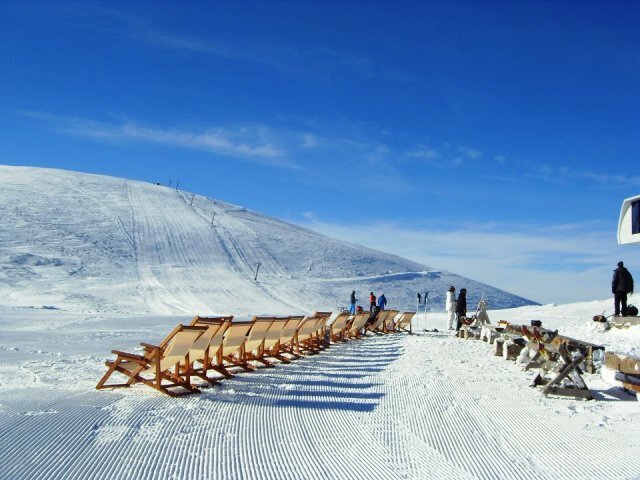 It has a total of 11 chairlifts with a total length of 7,7 km which connect the ski terrains at latitude of 1100 to 2500 m. The total length is 20 km and 3 of those 20 are according to the FIS criteria. (FIS- International Ski Federation). Kozuf mountain is a mountain situated in the southern part of the Republic of Macedonia and partly in Greece. 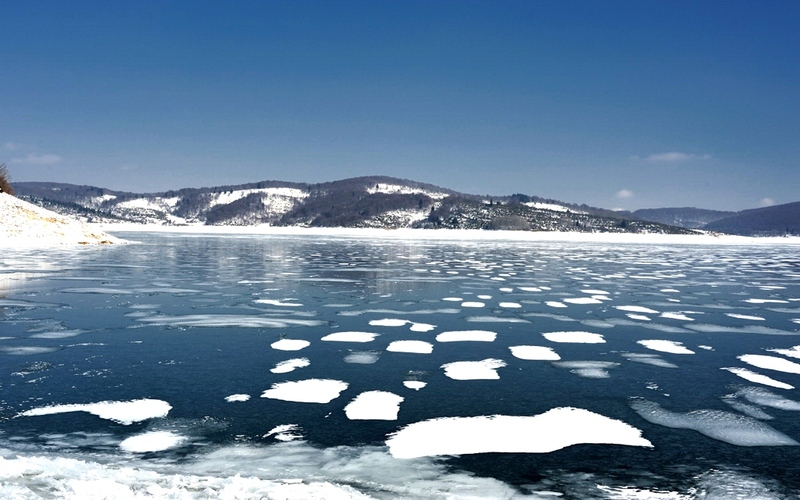 Its most western parts reach the river Blashnica, and the north-western side stretches in a line, from the Mrzhechko village via the village Konopishte, through the course of Boshava to the city of Demir Kapija. Kozuf is a specific mountain because it is the first natural barrier in the Republic of Macedonia that is directly exposed to the influences of the Mediterranean and the Aegean Sea. 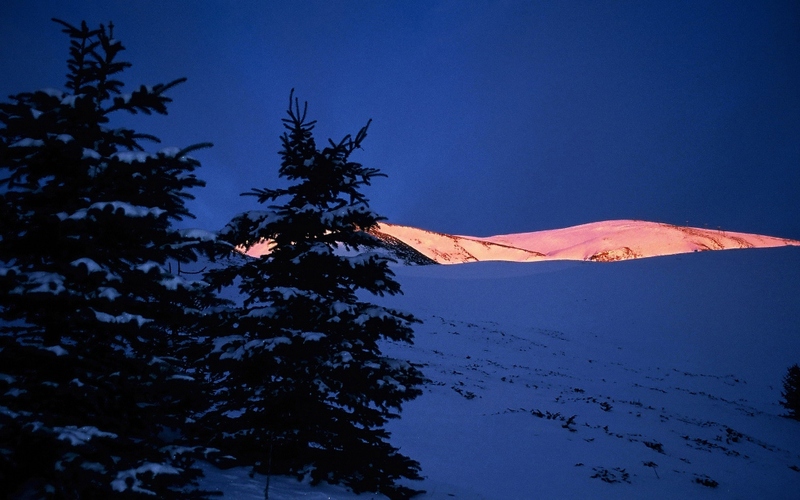 Its highest peak is Zelenbeg, at 2171 meters above the sea level. A new and modern ski center was built recently on the mountain.Kozuf is a ski resort with three ski lifts (1 chair lift, 2 surface lifts) and it boast a very impressive 573 metres (1880 feet) of vertical descent. Kozuf has 1110 acres of terrain over 12 pistes. Kozuf is best suited to advanced and intermediate skiers and snowboarders. The resort is in its investment phase, working on the platform for developing Kozuf to be a competitive ski resort in the region. Situated at an altitude of 1,330 meters (about 4000 ft) above the sea level, Krushevo is the highest town not only in the Republic of Macedonia, but also in the Balkans. Krushevo is located on Bushava Mountain, about 30 km away from Prilep. 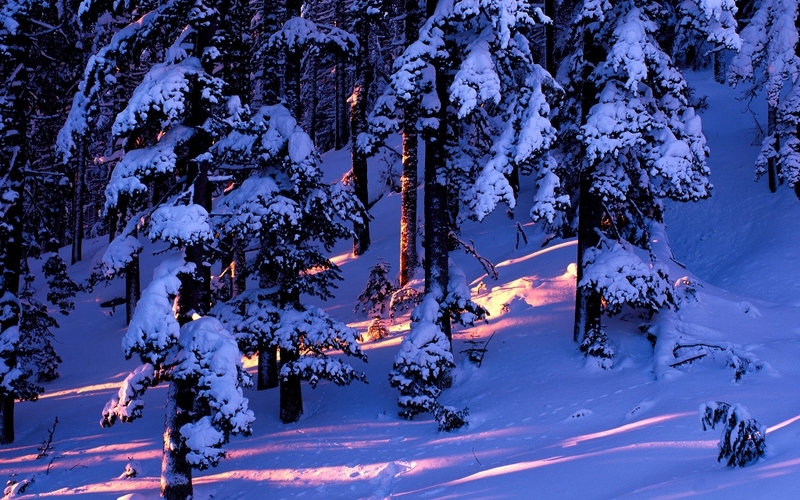 It is a well-known winter ski center and a health resort. Its old architecture and all conditions necessary for pleasant winter holidays, make Krushevo an ideal place for relaxation. Krushevo, with its old houses represents a museum of old architecture. The town is full of old and more recent houses built in the style of old Macedonian architecture leaving the town with virtually no apartment blocks. Each year on Ilinden the town wears a festive look: on the balconies and at the windows of all the houses shaggy hand-woven blankets (yambolias) in all kinds of colors are exhibited. This historical city located on 1250 m above the sea level is only 140 km away from Skopje. The ski terrains are located in the vicinity of the city and the chair lift departures from the very city centre. The terrains are located on 1400 m altitude. 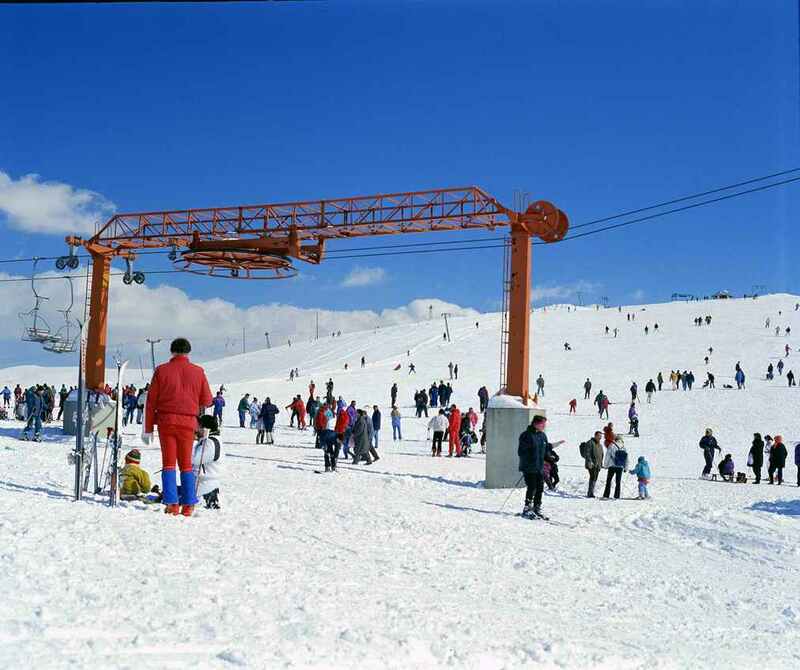 The ski lifts and chair lifts include: Double chair lift with a capacity of 720 skiers per hour, ski lift anchor with a capacity of 700 skiers per hour, single ski lifts for 600 skiers per hour and baby ski lifts with a capacity of 300 children per hour. 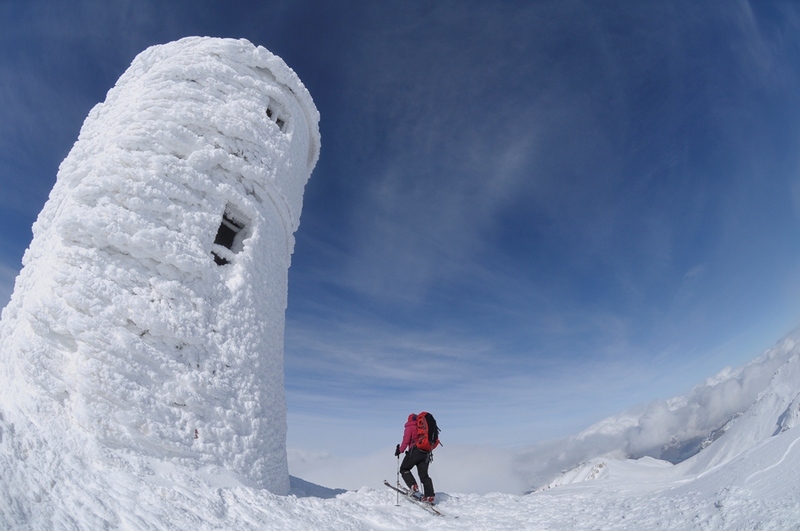 Pelister of Macedonia is a tiny ski resort with just two ski lifts but it does boast a very impressive 1172 metres (3845 feet) of vertical descent. Pelister has 2 pistes. 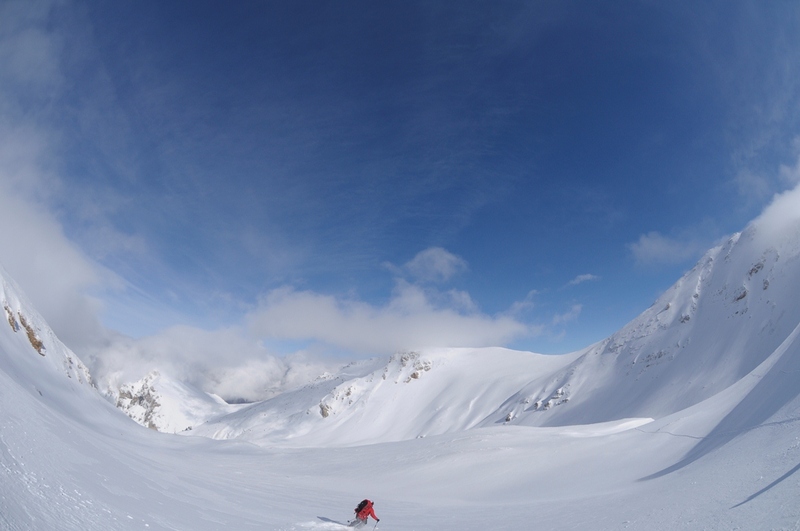 Pelister is best suited to advanced and intermediate skiers and snowboarders.